We've had a relatively quiet week for big VR news and interviews on the site - though don't miss our upcoming VR and AR round-up from the Augmented World Expo. The other highlight so far has been checking out Machina's VR glove and smart clothing concepts out at Computex in Taiwan (we're everywhere!). We also updated our list of the best 360 degree videos on YouTube and, if you fancy you can do better, the best 360 degree cameras. So what does that mean? There's plenty more FOV news to catch up on below. If you fancy watching Real Madrid v Juventus in 360 in a VR headset - perhaps not for the whole thing - first it depends where you are. In the US, download the free Fox Sports VR app to your phone, in the UK it's the BT Sport VR app you want to get. BT is giving away free Cardboard headsets but any mobile VR headset will work, just open the app and slot your phone in - you can get commentary and graphics or choose your camera viewpoint. For the Fox Sports app, you need to have a subscription to access it. 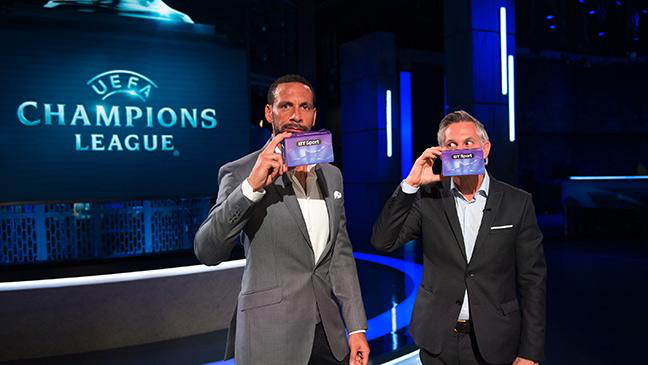 If you want to navigate 360 video on your phone, tablet etc but without the headset, either use the 'magic finger' feature on the app or just head to BT Sport's YouTube channel where it will livestream the UEFA final and pre-match in 360 degrees. This time from Intel - HTC will manufacture the WiGig VR accessory and says it works in the 60GHz band and that we can expect latency of less than 7ms between the headset and your PC. It will be showing off the new tech at E3 in a couple of weeks where we'll get to try it out. Microsoft's Mixed Reality (previously Windows 10 VR) platform got two new additions at Computex. The Asus and Dell headsets look mighty similar to what we've seen before from Acer and Lenovo with the PS VR style band and flip-up visor design. We don't know much apart from that the Dell will be affordable, whatever that means, and get a Holiday 2017 release. Asus' cover on the front of the headset looks interesting too. With the Chromecast! Still one of our fave ever gadgets. You can stream what you're watching or playing to your TV, via the Chromecast, by hitting the Cast button in the Oculus app. They see what you see, just like if you had a PlayStation VR, making it a more social experience even if there's just one headset in the room. Very nice. Engineers at UC San Diego want to take tactile feedback to the next level. They showed off a prototype of a glove that comes with a soft exoskeleton and soft robotic muscles. Users in the demo got to experience a simulation of the tactile feeling of playing a real piano, while in VR, with one participant saying it was "mesmerising". Another sports livestreaming VR extravaganza, Samsung Gear VR owners will be able to watch featherweights José Aldo v Max Holloway in 360-degrees via the free VR Live Pass programme this weekend on Saturday 3 June. There will also be pre- and post-match highlights for the mixed martial arts fight and additional videos to explore.